I just wanted to write a short post clarifying my position on lactate threshold and some exciting new product information to help optimize your training. A number of folks reached out to me about my post on polarized training. What I was saying violated so much of what other coaches have been preaching for years. While I agree completely because much of it is a slap in the face to the way I was taught– and the way I’ve been training– the evidence seems quite compelling. Lactate threshold is still incredibly important. Here are a few clarifying ideas. Some Folks Do Very Well with Lots of Lactate Threshold Training But Tend Not to Last Long. Back at Canute’s Efficient Running site, Canute posted a very interesting article about how marathon greats Grete Waitz and Paula Radcliffe— both of whom spent much of their training time at or near their marathon race pace (i.e. pretty close to lactate threshold). Grete set the world marathon record at 2:25:29 in 1978 when she was 24 years old. While she dominated many of the races that she was in, her times stayed very close to her original record (PB of 2:24:54) but by 36 she was out of the limelight. Paula came to the world of marathon in 2002 and set the still-current world record of 2:15:25 in 2003 at the age of 29 but has been plagued by injuries ever since and has not recorded a time within the same ballpark as her former records. As Canute noted, “However, great as these two athletes were, one is left with the feeling that they could have been even greater” and I couldn’t agree more. Certainly youth and genetic potential was on their side– in my 20s, I could certainly absorb a lot more abuse than now. I think too much training at lactate threshold may be dangerous for longevity. Still Need to Do Some Lactate Training– Maybe That’s Where Races Come In? I was looking over my training logs recently and a strange pattern started to emerge. 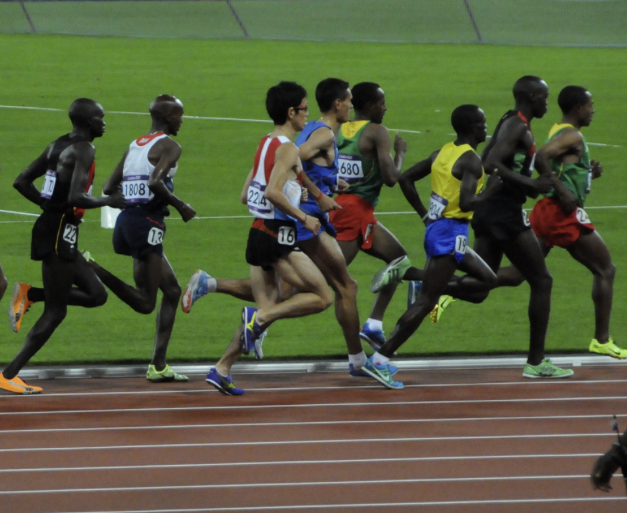 When I was running my best times, I had been doing very little lactate threshold work. Instead, my interval efforts were considerably faster (lots of mile repeats on decent recovery or maxVO2 efforts). Plus, I was running a lot of races. I’m thinking now that the value of lactate threshold training for older athletes isn’t physical but mental– to get our brains used to the idea of going at race intensity. If that’s the case, then an even better way to do it is to just enter a race (5k-15k) twice a month and call it good. Over the summer, I started doing a ton more tempo and threshold work– and my times have steadily been getting worse all summer long. Lactate Threshold is Still Super-Important as a Number. With all the talk about polarized training, one might get the impression that we should just forget about lactate threshold. In fact, nothing could be further from the truth. Lactate threshold roughly corresponds to the maximum effort/power/speed that one can maintain for an hour. If you are an endurance athlete, it is the number one determinant of your athletic success. As a number (based on heart rate, power, or speed) it is incredibly valuable. Simply put, the person with the best lactate threshold figure at the beginning of the race is the one who is going to win. Everyone agrees that, during an endurance race, we’re all going to be racing at around that effort (a 10-K runner who races in under an hour will be slightly faster than their lactate threshold and a marathon runner will be slightly slower than their lactate threshold). Where the polarized training camp differs from the traditionalists is that they don’t believe we should be training at that effort level. Enter BSX Insight. A few months ago, I jumped on the Kickstarter drive for BSX Insight. By December, they promise to send me a first-to-market blood lactate optical measurement device. The incredible Ray Maker over at DC Rainmaker, just posted a great pre-release review of their upcoming product. 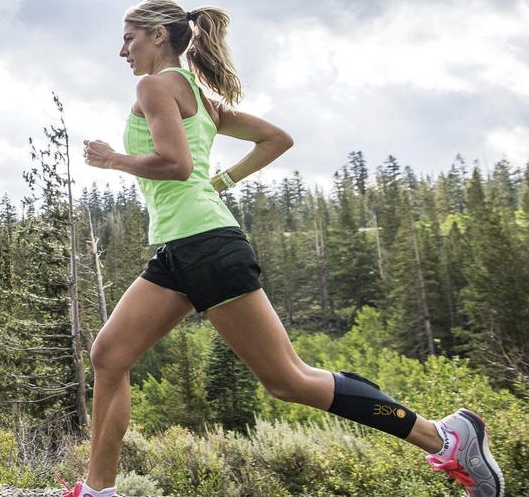 Basically, it’s a device that you wear on your calf and it tells you where your lactate threshold is. The device itself is actually a small pod that they’ve shrunk to about 2/3 the size of a business card and is worn inside a special calf sleeve. The picture at right shows the sleeve– the lump at the top of the sleeve is the pod (it is apparently the old and larger pod before the recent update). The amazing thing about this device is that you can perform highly precise measurements of your blood lactate under real world conditions– something that would have been inaccurate, painful (lots of finger pricking for blood samples), and ridiculously expensive before now. In fact, Ray’s review suggests that it may be even be quite a bit more accurate than the best of lab tests. So with BSX Insight, you can test yourself every month and know exactly whether your training is on target or not.